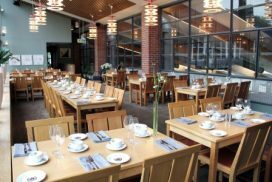 This is where you come to enjoy a culinary meal in a relaxed environment. If you want to have a meeting in connection to your lunch you can reserve our VIP-room next to the restaurant. We offer high quality and exciting food combined with excellent service in a cozy atmosphere. 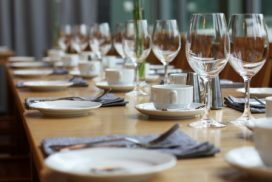 Here you should feel that the event you have arranged, whether it’s a business lunch, dinner or smaller dining event, has been a successful one.